I'm not a young man. I was born in the 60s. I'd heard of The Moody Blues (obviously) but had never really delved any deeper than the obligatory Nights in White Satin, Question etc. Recently, however, I've been buying their albums. In chronological order. And I'm very impressed. I wish I'd done this decades ago. Well, I got into the Moody Blues during the so called ‘’British Invasion’ when I was about 13 yrs. old. They were basically a British Blues band copying American Blues artists with their own twist. Last edited by Luke17; 11-30-2018, 03:59 PM. Give us a link to your original thread and I'll move over to it. Couple spammers have posted legit and then edited into spam. Blammers? I wasn’t familiar with anything by King Crimson prior to “Discipline” (and that’s pretty much a completely different band anyway) until about a year or two ago. I now own all of the earlier albums. ...so now we add a dash of Paranoia? Last edited by Luke17; 12-01-2018, 04:16 PM. I didn't get into Robert Johnson until the late 90's....Despite numerous references to him by some of my heroes. About 3 tracks into the retrospective I finally understood what Clapton meant when he said he couldn't listen to RJ all at once...That it was just too intense. Just getting into Argent 50 years late. They are a bit variable but checkin out my old "Rock Buster" IMO the best sampler album ever. Also for the first time discovering Gentle Giant that I somehow missed in my youth. 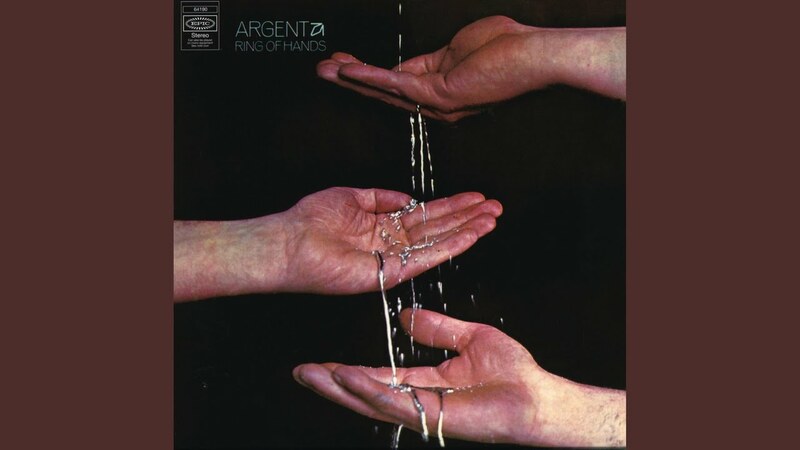 I have all the Argent albums on vinyl well up to when Russ Ballard departed. my favorite is still their first album when Russ sing the song ‘Liar’ which became such a big hit for Three Dog Night. Another great song on the’In Deep album ’ penned by Russ Ballard was God Gave Rock and Roll to You. BTW I was happy to hear that ‘The Zombies will be inducted into The Rock and Roll Hall of Fame. Thanks luke. I've just found out 'Since You've Been Gone" was a Russ Ballard song'. Not that that takes away from Graham Bonnets excellent delivery. Russ wrote some great songs...Among the ones you and I mentioned, he also wrote the Santana hit ‘I’m Winning’ and ‘I know there’s Something Going on’ (Frida) in 1982. Written by Russ, produced by Phil Collins who also played drums on that cut. Last edited by Luke17; 12-17-2018, 07:55 AM. Another late discovery and something different which kind of slipped through the net at the time was The Alan Parsons Project. Andrews Sisters. No, they aren't my favorite kind of music, and they are before my time on the planet. Some of the songs are extremely corny by today's standards, and others have stood the test of time. But from the corniest to the best the performance amazes me. It's like one singer with multiple voices. Articulation (including the plosive consonants), falls, dynamics, and often even vibrato are exactly together. From a life of playing in ensembles and singing in groups, I know how difficult this extreme level of precision is -- and at the same time they are expressive and fun. Going back about 20 years...and um....nobody. I mean, if getting into him/her/them means listening to a previously unknown to me artist, more than a few songs, a few times, for a few days maybe...then I can't bring to mind anyone. I dunno. Beyond the listening I do when working on my own music perhaps I just am not interested in listening very much anymore. My hearing is alright. What listening to others I do is rather targeted and is usually finished when I've finished scoping out whatever it is to my satisfaction though, I guess. And I never have music playing just to have some music playing. I'm sure I've missed some stuff I'd enjoy, and that's OK. That thought doesn't bother me. I played their show as a member of the orchestra 3, maybe 4 times. Same exact show each time as I recall - every note, every word. They'd be singing, "I'm just a singer in a rock and roll band." I'd be playing and saying to myself, " Yeah well, I'm just a violinist behind a plexiglass screen." And I never have music playing just to have some music playing. I'm sure I've missed some stuff I'd enjoy, and that's OK. That thought doesn't bother me. Me either. My problem is I listen too intently to music.I play music I want to hear and I want to listen to it. And I'd prefer no one talk over it. I do listen to KPFT at the times of day when they play music, because they always play things I have not heard, even by artists I'm aware of. I don't think I've been bowled over by any particular music in a long time. Kind of sad really. I like it when I do hear something I've not heard and dig. I discovered Joe Walsh late. I knew his hits and thought of him as the drunk guitarist that taught the Eagles how to rock. But then I discovered his solo material and realized what a great songwriter/singer/arranger/musician he really is. Glad he's gotten his life in order and hope he's around for a long time.